Home » Chinese Horoscopes 2020 » Rooster Horoscope 2020 – Free Astrology Predictions! Rooster Horoscope 2020 – Free Astrology Predictions! Rooster horoscope 2020 predicts that your emotions will be stronger this year, as will your morals. These feelings and thoughts will set the path that your life will take this year; it will guide all of your actions. Remember to stay optimistic, even when you are embarrassed, or something goes wrong. Your personality will pull you through; you can always count on that in this Chine new year 2020 of the white metal rat. The tenth sign in the Chinese zodiac is the sign of the rooster. Roosters are usually seen as being proud and loud creatures. People who are born in the year of the rooster also share some of these traits, but they also have a few others as well. People who are born in the year of the rooster are honest and trusting perfectionists. They pay close attention to details, and they make great friends. All of these personality traits will affect the way that they interact with their horoscope for 2020. Rooster, just like you will have strong emotions in your daily life, you will also feel more emotional in your romantic life. Chinese astrology 2020 asks you to try to be more creative and fun in your love life this year. Try to take care of all of your partner’s needs, and make sure that they understand your needs as well. If you are single, try to find out what you want in a partner before you go out looking for one. Chinese zodiac rooster tend to be the most compatible with people born in the year of the ox or year of the snake, so you might want to begin looking there. This is a great year to strengthen your bonds with your current friends and family members, as well as repairing bonds with past friends. Will the rooster get married or get pregnant in 2020? This is a turning point in your social life, so make sure that you don’t waste it! Will the rooster be lucky in 2020? You will feel more impulsive at work this year but try not to act on this impulsiveness unless you know that it will benefit you. You are likely to have new projects handed down to you; do your best on these projects. Showing off your skills is also a good idea. Everyone has their talents, but you want to make sure that your talents shine above all of your other co-workers in 2020. Always think ahead when you are at work; what you are doing now could very well impact what you are doing a few years from now in your career. Rooster prediction 2020 suggests that the money will satisfy you this year. You are likely to work more to earn more this you. You will be happy when you are working on hobbies that can also make you money. The small things will help you out when you are budgeting; remember that. The more optimistic that you are, the more likely that you are to feel more energized. The rooster may go to some minor injuries and health problems, but nothing major is predicted to come your way. Try to keep your diet balanced and yourself active, and you should be relatively healthy and happy in 2020. January 2020 will be a delightful and lucky month for the Roosters. Be it love, money or work. You will prosper in everything that you put your mind to. February 2020 is when you must be careful with people who are jealous of your prosperity. March 2020 is the right time for you to make the first move and achieve your dreams and goals. April 2020 is when your intuitive nature will help you plan well for the present and future. May 2020 is a month when your inhibitions and limitations will stop you from moving forward. June 2020 will be a month that is financially in your favor. Now is the right time to make investments for the rainy day. July 2020 is a month when the Chinese rooster should not let success get to their head. August 2020 is a month to socialize and make merry. You will have many professional and personal parties to attend. September 2020 is a month for you to hold your integrity and not waver in the decisions that you make. October 2020 is better spent with family and loved ones. This month is not favorable for making any crucial career-related decision. November 2020 too is a month when you should keep away from unwanted arguments and fights. You should utilize this time for doing something productive. December 2020 is a month when all your hard work and patience will be awarded with success and joy. 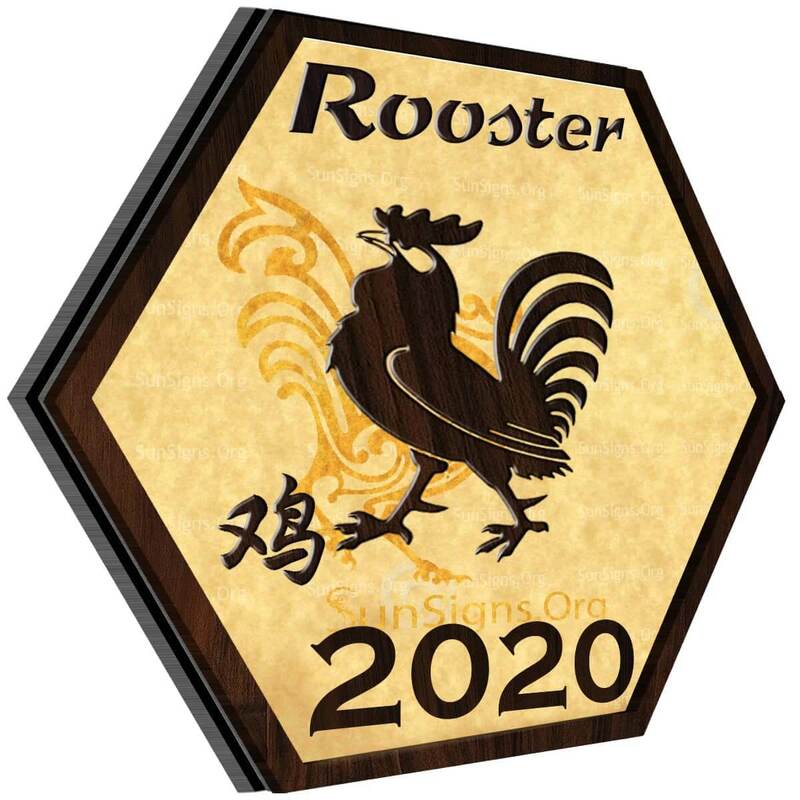 2020 yearly Feng Shui forecasts for the rooster sign predict many changes in your career and business prospects. Rooster horoscope 2020 predicts that this year is will be a productive year in many aspects of your life. You are likely to be productive and successful in your career. Also, you will be successful in your social life if you can spend more times with your friends and loved ones. You will be productive in all other areas of your life just if you make sure to do whatever it takes to make yourself happy. If you work hard during the day and party hard at night, then you are sure to have a great time in 2020! Previous Monkey Horoscope 2020 – Free Astrology Predictions! Next Dog Horoscope 2020 – Free Astrology Predictions!